As theaters struggle to appeal to moviegoers, movie ticket subscription services offer a new way to pull in moviegoers, though mileage continues to vary. If something seems too good to be true, it probably is — that’s certainly been the biggest takeaway of the movie ticket subscription service bubble. When MoviePass both upended and revolutionized the industry in the summer of 2017, offering up a rock-bottom price (just $9.95 a month) for a movie a day, its competitors felt the pinch immediately. So did MoviePass. Over the past two years, the service has ricocheted between price points and ticket limits, burning through money while also attempting to get into the distribution game, ticking off customers in the process and very nearly dying out countless times. But even what seems like a cautionary tale about financial instability and poor customer service inevitably inspired other outfits, including the similar (in more ways than one, and certainly not just the good ones) subscription service Sinemia and a pack of theater-backed memberships from such major chains as AMC and Cinemark. Out of the ashes of MoviePass’ financial insolvency came theater owners’ willingness to experiment with their own subscription services, which make more financial sense (and are far less risky) considering they are the one that directly benefit from increase concession revenue and do not have to pay full freight for the cost of tickets. It’s a model that has been in place in Europe for close to two decades, including by the parent company of the U.S. largest chain (AMC). It’s those services that seem to be doing the best these days, with both AMC Stubs A-List and Cinemark Movie Club reporting strong numbers, helped along by keeping the whole enterprise in-house and placing sensible restrictions on ticket buys. Other theater chains are following suit, too — ticket purchasing website Atom Tickets has just announced their Atom Movie Access, a service “exclusively for exhibitors to create their own customized movie subscription services” built on the Atom platform — and even smaller groups like the Texas-based chain Alamo Drafthouse are ironing out their services before rolling them out to movie lovers. As the theater industry gears up for its annual CinemaCon, the official convention of the National Association of Theatre Owners and one that is about “celebrating the moviegoing experience,” both exhibitors and studios will have to grapple with a sinking box theatrical box office. A recent report from the MPAA made it clear: box office growth is coming from outside the theatrical world, and if theater owners want to stave off shrinking numbers and remind their customers about the magic of the movie theater, they’re going to need to get nimble and smart. One thing all the data points to about movie ticket subscription services is that they increase movie-going and concession sales. At a time when millenial moviegoing has become a mystery Hollywood can’t seem to solve, subscription services like Spotify and Netflix have proven to be a far more effective way to reach a generation with an on-Demand and love-to-sample consumer habit. One way to do that: change the ticketing game. Here’s how that’s going so far. The truth is, we will never know if MoviePass could have been the Spotify- or Netflix-like solution to moviegoing, because unlike those companies, it was not built on the necessary financial backing needed to take on debt and grow. Less than six months into its too-good-to-be-true unlimited and unrestricted $9.99 plan, its owners had to give away 27% of their company just to cover the $45 million debt it took on over the 2017-18 holiday season. By the start of the 2018 summer movie season, it was too late for adjustments and simply placing restrictions on the subscription, as the company was out of money and the card you could once use anywhere was virtually useless everywhere. 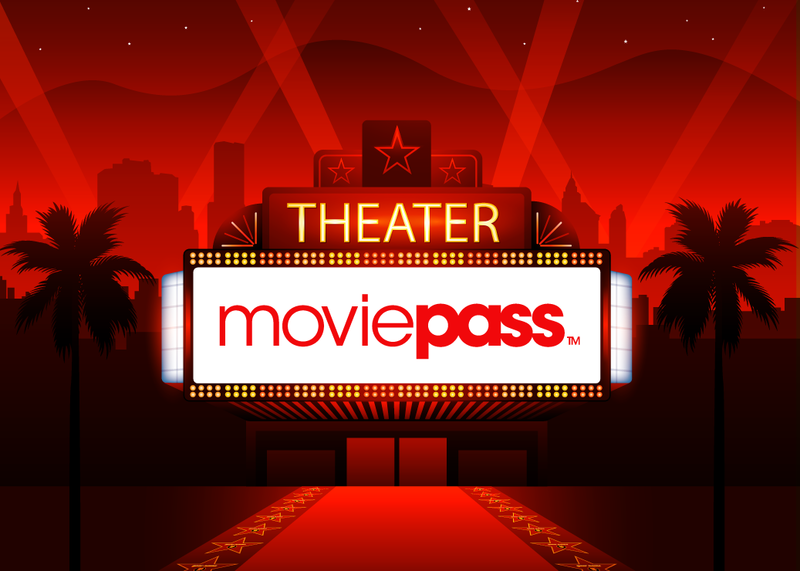 In 2019, MoviePass says it has learned from its mistakes, and while they are back to offering unlimited plans for $9.95 a month, that plan nows comes with the caveat that “your movie choices may be restricted due to excessive individual usage which negatively impacts system-wide capacity.” For those who were burned by the initial collapse of MoviePass, that limitation could signal that the new plans are worthless. The reality is, the company’s ability to raise capital is practically non-existent. Just last week, it sold off part of its owners’ preferred shares to raise only $6 million — at its height, MoviePass was accruing over $20 million a month in debt — while simultaneously driving its stock price down below a penny a share. The only way it can afford to buy tickets (unless it’s a film they are taking marketing dollars to promote) is to attract new subscription dollars. At this point, MoviePass’ one remaining asset is its name. Sinemia was supposed to be the sober alternative to MoviePass, offering subscribers the same freedom to visit different theaters with no blackout dates, but at the same time capping the moderately priced plans to protect itself against so-called “power users.” The plans themselves are constantly changing, with new promotions and plans being offered every month, and the best deals do offer good value. Currently, three movies a month costs $7 to $10 with a yearly pre-paid subscription, but that doesn’t include ticket processing fees (often $1.80), plus features like the ability to rollover one unused ticket every month. For a dollar more, you can find a two-movie-a-month plan that doesn’t restrict premium tickets for IMAX, 3D, or other pricey formats. Yet, the question increasingly surrounded Sinemia is if customers are ever able to actually receive that value. Last week they introduced an “Always Unlimited” plan allowing a movie-a-day for $14.99. According to the company’s CEO Sinemia Rifat Oguz, the company has grown month-to-month for the last 15 months, while also being profitable on a per customer basis. The service’s evolution has been far from seamless — complicated ticket purchasing procedures and a lawsuit over processing fees that forced the company to issue physical card — but the company proved willing to constantly adjust as it grew. Recently, however, the service has taken a sharp turn for the worse, causing many to question its financial solvency. Users across the country are having trouble purchasing tickets with the app, as the company claims necessary “maintenance” is to blame. And a significant number of pre-paid yearly subscribers have had their accounts terminated in what Sinemia says was the product of a detailed fraud detection analysis that they claim only affected only one percent of its customers. Yet that “one-percent” of customers (now “approximiately three percent”) is letting its anger and presence be known — taking to Reddit and Twitter in droves, reaching out to reporters, offering proof against supposed fraud, while accusing Sinemia of fraud itself. Unless the company starts answering questions, the narrative that it has become MoviePass 2.0 will start to take hold. Launched last June, AMC’s A-List program serves as the top level of the theater chains’ longtime loyalty incentive program, AMC Stubs. Before launching A-List, the program already allowed members to book tickets for any film (and reserve seats, when the theater allows), but A-Listers are also eligible for concession upgrades and express box-office service at all 640-plus AMC theaters in the U.S. Billed early on as a “sustainable” program (take that, MoviePass), AMC launched the program with an already-deep membership: the company claimed 10 million Stubs members at A-List launch. While the service first launched at a $19.95 a month price point, it now costs $23.95 per month (plus tax), though it includes the opportunity to earn points and rewards through the Stubs program. Having the built-in infrastructure of the Stubs service surely helped matters too, and A-List’s easy app is beloved by members (something that cannot be said about the majority of its competitors). Current A-List benefits include: member tickets for up to three movies a week (in every available AMC showtime and format, including IMAX at AMC, Dolby Cinema at AMC, RealD 3D, and Prime at AMC), free online booking, all the discounts and benefits of AMC Stubs Premiere (including free upgrades on popcorn and soda, free refills on large popcorn, express service at the box office and concession stand, no online ticketing fees and 100 points for every $1 spent for the AMC Stubs A-List monthly fee, tickets purchased for friends and family, and food & beverage spending at AMC), and a $5 reward for every 5,000 points earned (which translates to a 10% credit toward future AMC purchases). Though Cinemark boasts fewer theaters than AMC (between Cinemark, Century, CinéArts, Tinseltown, and Rave theaters, the company has about 425 theaters in the U.S.), the chain managed to roll out its own popular service months before AMC got into the fray. Launched in late 2017, MovieClub offers a scaled-down and cheaper version of what AMC touts: For just $9 month, Movie Club members get one ticket to any 2D showtime (they can pay “a small upcharge” to trade their regular tickets for films shown in premium formats), plus discounts on extra tickets and concessions and free online reservations. Like AMC, members can earn points via the chain’s Cinemark Connections program, which can be spent on various items, including film merch. One thing Movie Club has that other memberships haven’t yet introduced: the option to roll over unused tickets each month. They also never expire for active members, an intriguing option for movie fans who may only hit the theater once every few weeks but want to save when they do so. During Cinemark’s last earnings call in February, CEO Mark Zoradi talked up big numbers for the service: he said Movie Club had reached 560,000 active members by the end of 2018, up 26% from the end of its third quarter. Zoradi also shared that, all told, 13 million admissions have been recorded in the history of Movie Club. Put in tighter perspective: in the fourth quarter of 2018, the program accounted for ten percent of Cinemark’s total box office, up from 8 percent in the third quarter. The popular Austin-based theater chain has been testing the subscription waters since August, when Business Insider reported that a beta version of its “Season Pass” had been launched in Yonkers, New York, and Raleigh, North Carolina. Customer interest was apparently high, as Alamo claims that 40,000 customers in those locations were waitlisted for the beta program in less than a month. Last week, CEO and founder Tim League announced that he has been pleased with the results so far, and is preparing to launch the service at all Alamo locations before the end of 2019. The unlimited “Seaon Pass” plan will cost $20 a month in most regions, but expect slightly higher rates in New York. Considering how few screens Alamo has in most cities, it’s a steep price, but will no doubt prove to be a good value to customers who are devoted to Drafthouse’s programming and emphasis on a quality viewing experience and premium food and drink.